Home / .#Politics / #Donald_President / #DonaldPresident / #Election2016 / Donald Trump / FBI / U.S. / US / Washington / #US #Politics : FBI deputy director McCabe said : I'm fired over Russia inquiry ! 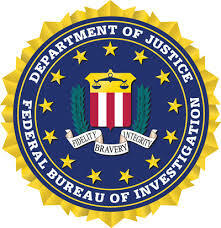 #US #Politics : FBI deputy director McCabe said : I'm fired over Russia inquiry ! U.S. Attorney General Jeff Sessions fired the FBI’s former No.2 Andrew McCabe Friday, prompting McCabe to say he is being targeted because he is a crucial witness into whether President Donald Trump tried to obstruct the Russia investigation. Sessions, in a statement on Friday, said he felt justified in firing McCabe after the Justice Department’s internal watchdog found he leaked information to reporters and misled investigators about his actions. “The FBI expects every employee to adhere to the highest standards of honesty, integrity and accountability,” Sessions said. But McCabe, who played a crucial role in the bureau’s investigations of Hillary Clinton and Russia’s interference in the 2016 U.S. election, denied those claims and said he is facing retaliation by the Trump administration. In a lengthy statement, McCabe said he believes he is being politically targeted because he corroborated former FBI Director James Comey’s claims that Trump tried to pressure him into killing the Russia probe. 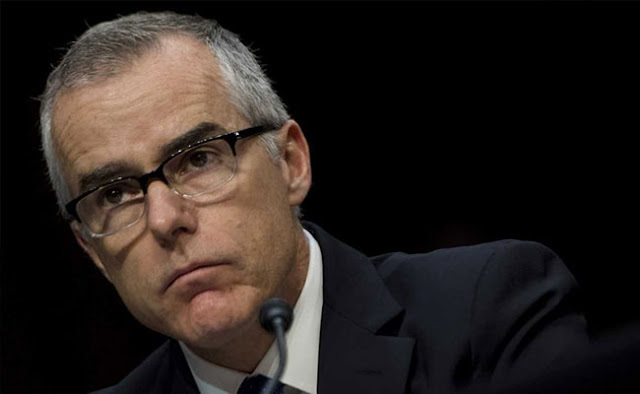 McCabe’s dismissal came two days before his 50th birthday, when he would have been eligible to retire from the Federal Bureau of Investigation with his full pension. The firing - which comes nine months after Trump fired Comey - puts McCabe’s pension in jeopardy. It also is likely to raise questions about whether McCabe received an overly harsh punishment due to political pressure by the Republican president, who has blasted McCabe on Twitter and called for his ouster. Comey’s firing paved the way for Deputy Attorney General Rod Rosenstein to tap Special Counsel Robert Mueller, who is now leading the investigation into possible collusion between Trump’s campaign and Russia. Trump has denied there was any collusion. “I am being singled out and treated this way because of the role I played, the actions I took, and the events I witnessed in the aftermath of the firing of James Comey,” McCabe said in his statement. His departure was triggered by a critical report from the Justice Department’s inspector general that eventually led the FBI’s Office of Professional Responsibility to recommend he be fired. The report, which has yet to be made public, says McCabe misled investigators about his communications with a former Wall Street Journal reporter who was writing about McCabe’s role in probes tied to Clinton, including an investigation of the Clinton family’s charitable foundation. He added that the release of the inspector general’s report was “accelerated” after he testified behind closed doors before the U.S. House Intelligence Committee where he revealed he could back up Comey’s claims. Comey’s firing has become central to questions about whether Trump unlawfully sought to obstruct the Russia investigation. McCabe could potentially be a crucial witness in Mueller’s investigation. Some of that criticism stemmed from the fact that his wife, Jill McCabe, a Democrat, received donations for her unsuccessful 2015 Virginia state Senate campaign from Terry McAuliffe, who was then the state’s governor and an ally of the Clintons. McCabe did not start overseeing the investigations until after his wife’s campaign ended, the FBI has said, and therefore did not have a conflict of interest. McCabe initially did not respond to Trump’s question but later told Trump he did not vote in 2016, the source said. The inspector general’s report is largely focused on how McCabe answered questions about whether he leaked to the press in advance of a story that was critical of his oversight into the Clinton foundation investigation. “This attack on my credibility is one part of a larger effortI'm fired over Russia inquiry !